Request a free legal form today. 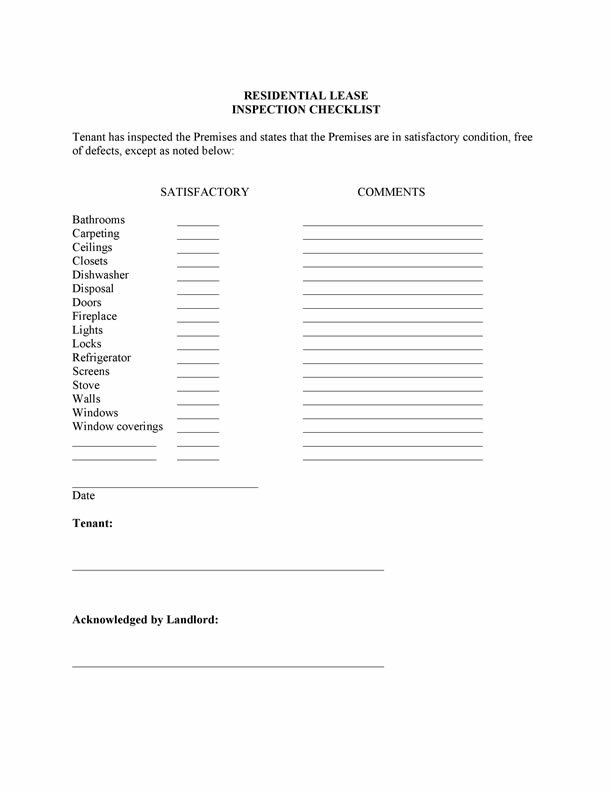 The following form is one that I use with all new tenants. If you are a responsible landlord, you will be sure that the condition of a unit is clearly defined when the tenant moves in. When this condition is acknowledged by both the tenant and landlord, it will be easier if you are forced to retain part of the security deposit to make a repair when a tenant moves out. In addition, this will make a tenant feel a bit more comfortable when they are deciding between your place and another. We are always happy to help someone in need of a free authorization or free legal form. Let us know what you need and we'll find it within 24 hours.